The new year is officially in full swing, and it's about that time where people start giving up on their New Years resolutions. The most commonly given up on resolution? Working out. Eating healthy. Getting in shape. I know I'm struggling with it. So, if you're anything like me and running on a treadmill bores you to tears and the idea of going to a gym (with *gasp* other people) is less than appealing, you've come to the right place. 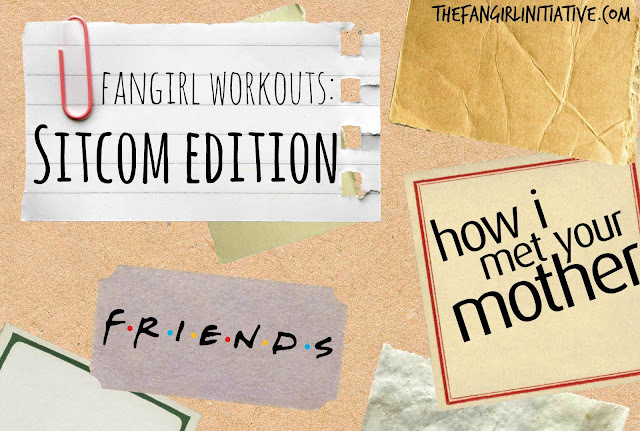 I'm sure you've seen pictures of sitcom workouts floating around the Internet, but, like most things floating around the Internet, you have no idea if they work or not. Well, that's what Internet writers like me are for! I can tell you that both of these workouts worked for me--they kept me both entertained and helped me get fit. However, as I was woefully out of shape when starting them, I can also tell you that your muscles will hurt like all get out the first few times. If you don't know what a sitcom workout is, it's essentially a drinking game. But with lunges. Funnily enough, both leave you sore and regretting your decisions the next day. But, unlike drinking games, workouts actually get you someplace positive where you've lost weight, built muscle, and you feel pretty good about yourself. And the best part of these workouts is you don't need anything but a floor and a television. And maybe a set of free weights. The basic overview is this: You turn on an episode, and, as you watch, you do the exercises as they crop up. When you're not doing a specific exercise, keep moving! Run in place, kick your legs up, lift weights. It doesn't matter as long as doing something. Granted, sometimes you'll just want to lay on the floor and groan, and that's okay, too. Sometimes. Disclaimer: I am not a doctor or anything of the sort. If you think this is a bad idea for you, obviously don't do it. This is just what worked for me. There's a lot in there, I know. And some episodes will be harder than others. If you feel like you can't keep up, cut a few exercises out. If you feel like it's way too easy, increase the reps. I usually try to do two episodes, but do whatever you're comfortable with. This is all about making yourself healthy! 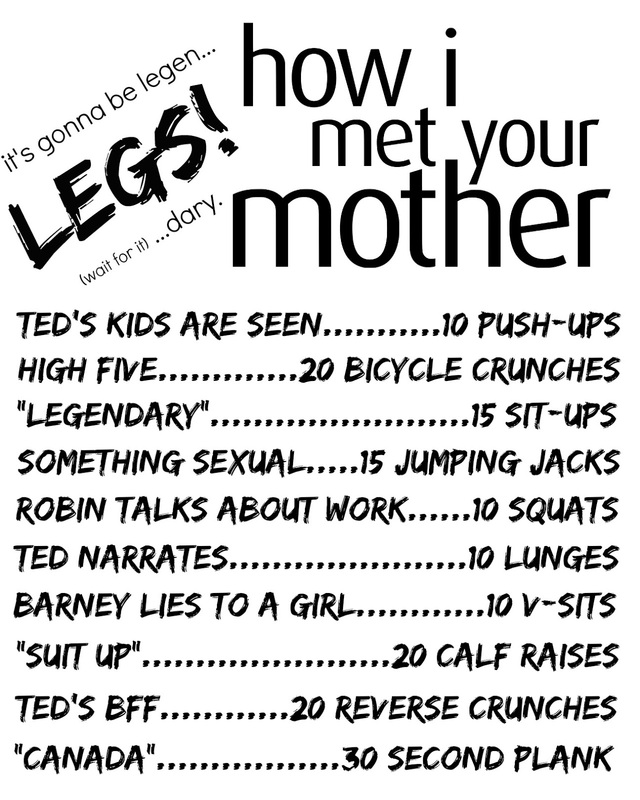 The next is split into two episodes: one arms and core, one legs and core. Once you're done with episode one, take a short rest, drink some water--this is important--and then start on episode two! Remember, you're doing this because you want to. Do this workout two or three times a week, interspersing it with some kind of cardio: jumprope, running, biking, etc. And, of course, eat healthy. And drink a lot of water. Working out tends to make you not want to eat crap anyway, so win-win. Once you get past the first few weeks, you'll start to feel good. And that's really what matters here, right? 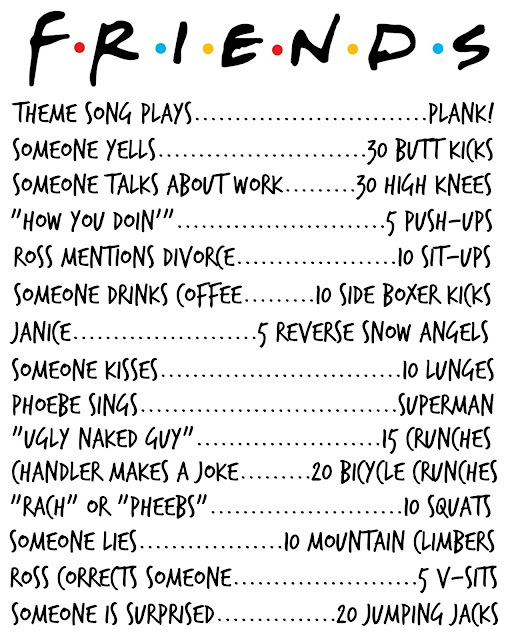 I also suggest finding a friend to do these workouts with you. Exercising is always more fun with someone you trust who doesn't mind hearing you curse. (You'll want to the sixth time Ted starts narrating in the first ten minutes. Trust me.) 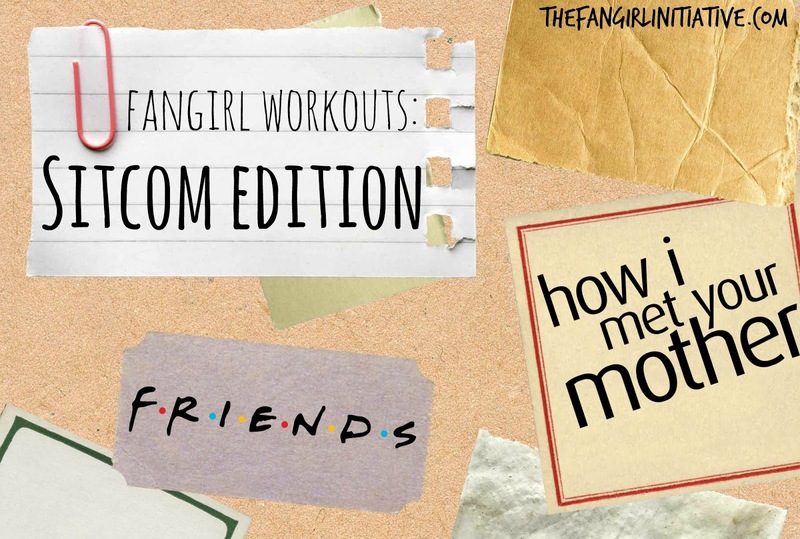 And if you don't like these shows, there are plenty of other sitcom workouts floating around, especially on Pinterest, though I can't guarantee any of those. But however you do it, remember to have fun! 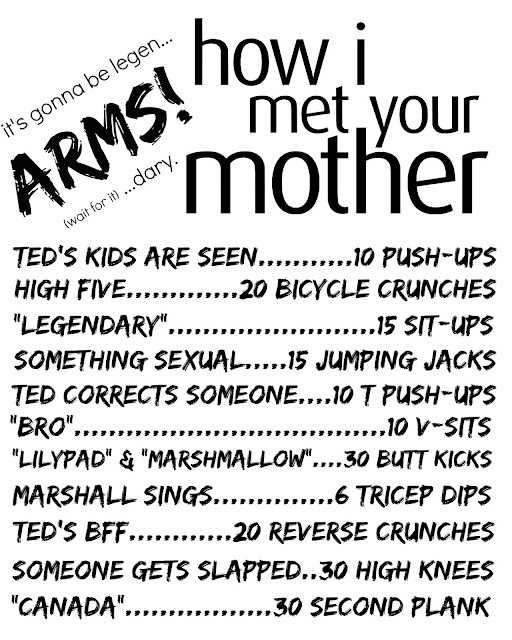 Have you tried a sitcom workout? How'd it go?